Let's take a look at Neshaminy Valley Townhouses in Bensalem . These townhouses are bigger then some single houses . I know this as I lived in a Neshaminy Valley townhouse for many years when my children were young. It is a wonderful community to raise children in .There are so many activities and sporting events to keep them busy . Neshaminy Valley is located close to US #1 ,PA turnpike and I 95 . The Septa train stations are also close by as is Amtrax if you would like to take a ride to NYC . There are many places for shopping and fun Neshaminy Mall is just minutes away with a large movie cinema .There is also Philadelphia Mills which is a discount super mall they also have a movie theater . Then there is Parx Casino if you like to Gamble if not they have some nice restuarants and shows . There is so much to do in Neshaminy Valley Area of Bensalem . Hi Hannah Williams, you've provided great information which would be a great help to those looking to buy a Neshaminy Valley Townhouse. Calling you should be the first thing buyers as well as sellers should do. Beth Atalay I have had many buyers insisting on a single house change their mind after walking into one of these townhomes . They are so spacious and had everything they wanted . Endre Barath, Jr. I never thought that it my be difficult to pronounce put now looking at it I can understand the difficulty . Will you be home this weekend ? Good morning Hannah. Thanks for keeping us updated about the Neshaminy Valley Townhouse real estate market in Bensalem. Good morning Hannah - these are beautiful townhomes seem to be in demand with low DOM. 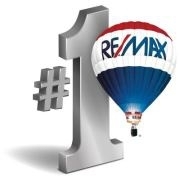 Neshaminy Valley Townhouse sellers will be in very good hands when they select you as their listing agent. Hello Hannah - your insightful market report for Neshimany Village townhomes shares your knowledge and value. Most helpful. Very informative. Hannah, these prices are great for large townhomes, and hope the homeowners in Neshaminy Valley give you a call when they are ready to list. Joan Cox Your support is greatly appreciated . These houses are in high demand and I love showing them as they will always be home to me . Hannah, you write the best community market reports - I always enjoy reading them. Another great report on Neshaminy Valley, Bensalem two story townhouses. You're certainly THE agent to call if someone is thinking of buying or selling in the area. Sounds like a great place to live, spacious town houses and lots to do to stay busy. Homes are also affordable as well. Oh Debe that is so kind of you to say so I raised my children here . They loved growing up here . For years I drove my son back to the neighborhood to visit his friends . He was so upset with me that we moved .